A long hike in good habitat, although colder than we’d have liked, produced one more rattlesnake before night fell. 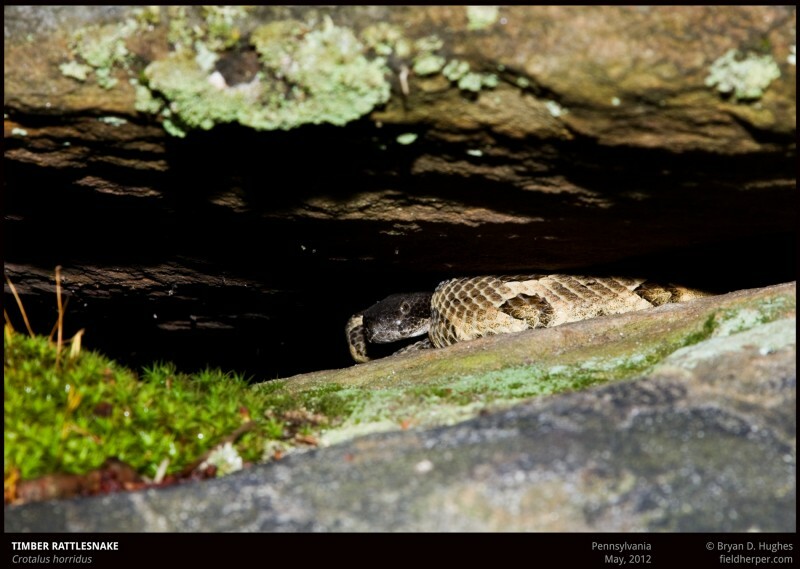 This small adult wedged in a rock, soon to join the others we could hear elsewhere rattling under rocks we had checked. 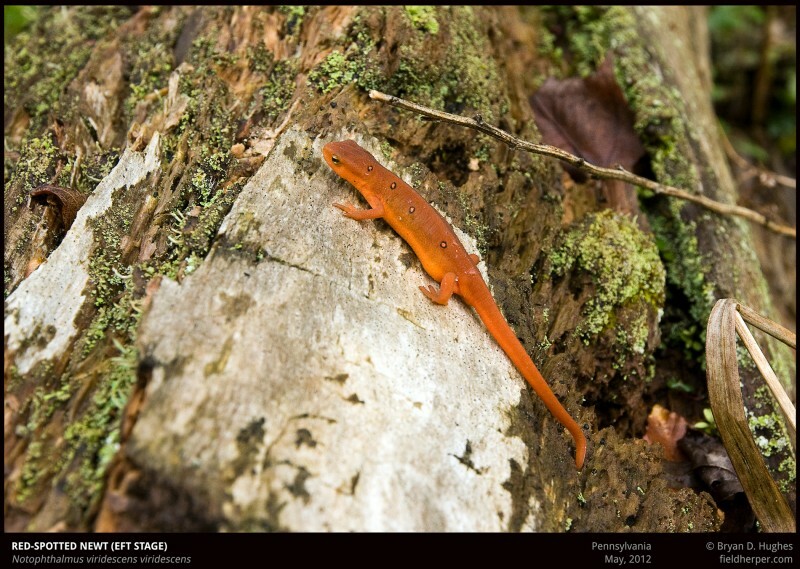 Along the way, and throughout the entire trip, we saw what was probably over 100 of these eft-stage newts out clumsily crawling over the wet ground. It’s hard not to step on them. This entry was posted on Wednesday, May 30th, 2012 at 8:26 am	and is filed under Amphibians, Photography, Snakes. You can follow any responses to this entry through the RSS 2.0 feed. You can leave a response, or trackback from your own site.